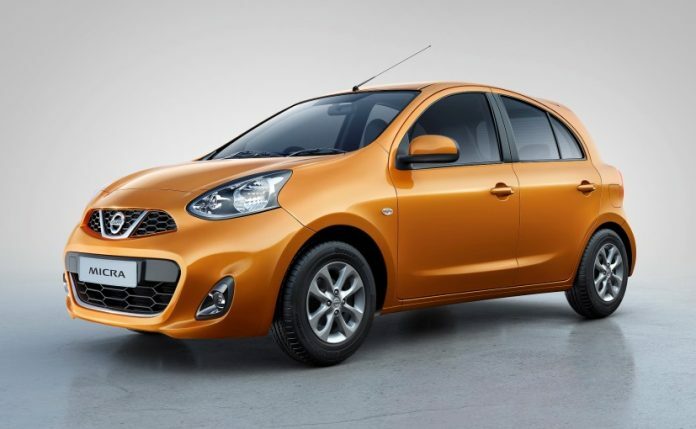 Nissan India has launched the new Nissan Micra CVT model in Sunshine Orange colour. This colour in Automobiles industry is considered as the communication colour. On the other hand, this colour can be taken as the festive season colour in India. In a couple of months, there are major festivals are listed in the calendar for majority Indians. The logic behind Sunshine Orange can also be termed as the bold colour that attracts young generation a lot. The latest trend and the vehicles that have launched with the same colour suggest the success story. Two models of the vehicle Nissan Micra Active and Nissan Micra are also available in 5 other colours (Brick Red, Blade Silver, Storm White, Turquoise Blue, Nightshade and Onyx Black) that are in existence. There is a little bit of change in both the models when it comes to the latest Orange Colour combination with Black. Nissan Micra Interiors has a piano black finished center console, black door trims, black seat upholstery with contrast blue stitching. Nissan Micra Active has a black instrument cluster, black seat fabric and door armrest finished in silver. Nissan Micra CVT Price range between Rs.4.55 lakhs to Rs.5.99 lakhs (ex-showroom, Delhi). Nissan Micra CVT Specifications and Features have remained same as for the existing models. The engine of the vehicle is powered with the same 1.2-liter three cylinder petrol engine and 1.5-liter four cylinder diesel engine variants. Petrol has only Automatic Transmission option where as the Diesel version has both 5-speed Manual and Automatic. Petrol engine produces 76bhp of power giving a mileage of 19.34 kmpl as per ARAI Certification where as the diesel engine produces 63hbp of power giving a mileage of 23.08 kmpl as per the same ARAI Certification. Apart from briefing the above Mr.Arun Malhotra, Managing Director of Nissan Motor India also stated that the model is being exported to 100 countries globally. Till date nearly 6 million units have been sold across the globe. He also announced that the much awaiting sportier model Nissan GT-R will be launched in November 2016. Pre-bookings for the same have been commenced already. He also added that Nissan X-Trail Hybrid new generation model will also be launched in December 2016 itself.